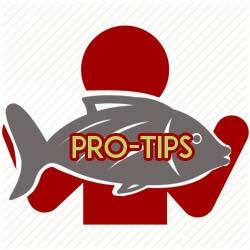 Anglers coming for Costa Rican sportfishing adventures have been able to enjoy Quepos fishing for more than 30 years. First a banana exporting port then a center of African palm oil exports, Quepos was long an isolated village. Roads were almost non-existent, the only regular access was by ferry from Puntarenas. By the 1980s, people began seeing the potential of the area. The road from San José was improved – although the stretch from Jacó south was not entirely paved until the mid-1990s, and many bridges were widened and rebuilt even later. 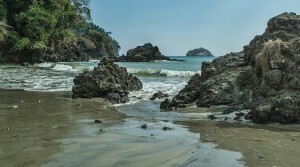 The beautiful Manuel Antonio National Park, just over the ridge five minutes away, became an international tourist attraction, as did its calm beaches. Quepos is a 25-minute commuter flight or two-and-a-half-hour drive from San José. Hotels, boutiques, bars and excellent restaurants like the Gran Escape opened both in Quepos and Manuel Antonio. Sportfishing captains brought their boats down to Quepos from the North Pacific to Quepos between December and April to escape the Papagayo winds. 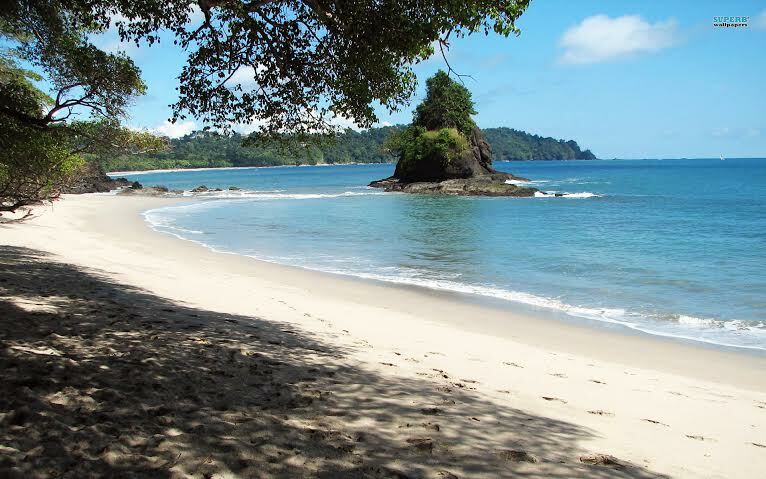 Many decided to make Quepos their permanent home because of the excellent bite and calm waters 365 days a year. Bill Gannon and Harry Gray are among the pioneering American captains who not only made Quepos fishing an indelible part of the Costa Rican sport fishing lexicon, but who helped train mates who went on to take their place among Costa Rica fishing’s best known local captains. 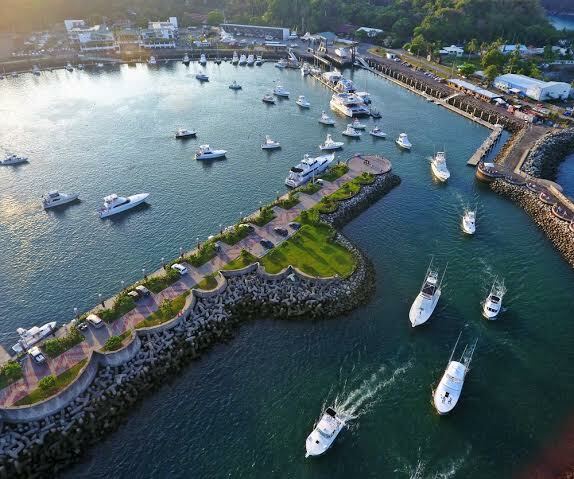 One of the two most important Costa Rica sportfishing destinations on the Central Pacific coast along with Jacó/Los Sueños Marina, Quepos fishing – now centered around the new, modern Pez Vela Marina – is characteristic of the region. The peak billfish bite of Sailfish, Blue, Black and Striped Marlin, occurs between mid-December and May, but they linger off the coast all year round and are caught at any time. The last several Offshore World Championships have been hosted by Pez Vela Marina every April, drawing almost 70 boats and teams of experienced international-class anglers from 30 countries to participate in this annual billfish Olympics. Boats fishing Quepos offshore will also catch Dorado (Mahi-Mahi), Yellowfin Tuna that peak June through August, and Wahoo when the water is clear. Anglers enjoying a Costa Rica fishing vacation who decide to fish Quepos inshore can enjoy targeting Roosterfish, a wide array of Snapper species, Grouper, Jack, Mackerel, and even Snook when the tide and weather are right. Most experienced Quepos sportfishing captains, depending on the bite, will either head north towards a spot known as the Ventiseis, also a favorite of Los Sueños fishing boats. The Veintiseis – 26km or 16 miles off the coast – is an undersea hump that rises to 80 meters (260 feet) of the sea level. It is a magnet for every Costa Rica fishing species. Or they will travel south towards the Furuno Bank, another rich sportfishery. To learn more about the Quepos area or to see some Quepos, Costa Rica Real Estate Options you may also be interested in speaking to a real estate professional at C.R.R.V.P.